Reading poems of encouragement is a recommended spiritual exercise that you engage with each day. This can be either through reading poetry or listening to it. In these rapidly changing and uncertain times it is good to have a daily anchor of positivity and hope. This anchor needs to be anchored within that which is inspired – in spirit. It is the need to anchor our energy in that which is Timeless and Changeless but out of which time and change arise. I have been inspired by poetry throughout my adult life. It is in large part the foundation of this website. When I read poems by Rumi, Yeats, Hafiz and Mary Oliver, to name a few I am in the best of company. These are my Companions of Greatness and invite me in the words of W. B. Yeats, “to make greatness my companion.” (These are the Clouds). I share with you 10 of my favourite poems. I could share 10 others and another ten. But let me begin by listing these and then include the poems themselves. 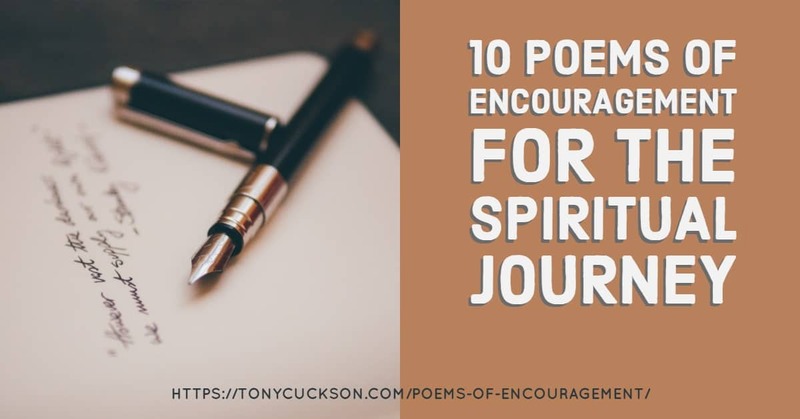 This sharing of these 10 poems of encouragement will be in two parts. The reason is to keep you encouraged by not making this one article overlong. The question is, “Are you prepared to be committed, disciplined and patient in the journey into becoming a Companion of Greatness? The spiritual journey is not a journey you take purely for your own benefit. It may start out that way. It tends to start out that way. Spiritual growth happens when you humbly realize that you are blessed and can bless. The children be they your own, or other people’s children, are blessed because you have the courage to search for the church in the East – the arising of the Divine within you. We all long for the experience of wholeness. Our culture, especially in the first half of life, teaches us that this is an experience of achievement and success in material terms. This is a poem that I very much identify with. Then there is the invitation to become so much more. An invitation to connection to that which is the Greatness inside you. This is to become a Seer. Someone who can light the way through the darkness that is the sense of the separate personal self. Someone who can, like the moon, shine a path through the dark night. The next poem is a poem about the longing to connect. It is a poem about the experience of breakthrough that is part of the spiritual journey. Hope you enjoyed this opening Part I of poems of encouragement. If so, I would appreciate your giving it a fair star rating below. Maybe you would like to share it on another social media platform or leave a comment or ask a question.